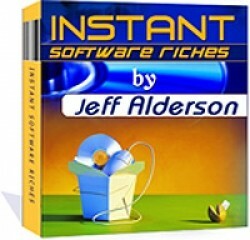 Most of you are probably familiar with software tools in the Internet marketing arena. There are traffic generators, keyword tools, web design tools, and countless website submission tools. However, few people realize the amount of opportunity for software outside of the marketing and webmaster niche. Practically, every market can use some kind of software. Although many markets are ultra-competitive and may be difficult to crack, there are countless markets that have practically zero competition. Largely because people don’t realize how easily and cheaply they can create software. As a result, you could cash-in on other marketer’s lack of information about software products and reap all of the rewards! Let’s use the “Learn to play guitar” niche, as an example. This niche is very competitive and most of the top earners have video products. But, what happens when you add a software component to make learning on the computer even easier? Your package is going to have a clear advantage over all your competition. If customers can learn easier from you (and you clearly communicate this), then it’s going to be a no brainer for them to do business with you. There really is little excuse not to add a software component for some part of your business. In many cases, it can mean tens of thousands of dollars in new sales because you offer a valuable tool to your customers. In addition, software products are a great way to establish yourself in a new market. You don’t need a massive amount of credibility to sell software products. After all, you’re not selling your expertise, but a specific function the software performs. This means you don’t have to struggle to come up with good product ideas. You just look at each market in terms of what task you can take to make it quicker, easier, and more effortless. How can you make the customer’s life better with software? And since most people don’t realize the power of software, chances are nobody has a solution for what you come up with. Then, you can easily burst into new markets with a killer, in-demand product!